You get access to our team of email experts with any pricing plan. You're not alone. We're ready to help you get started. And get all the tools you need to succeed. Simple email automation to get the right message to the right person at the right time. Connect to social media, landing pages, shopping carts and many more integrations to get the most out of your email marketing campaign. Customer solutions that'll knock your socks off. Meet our stellar team of email marketing experts. 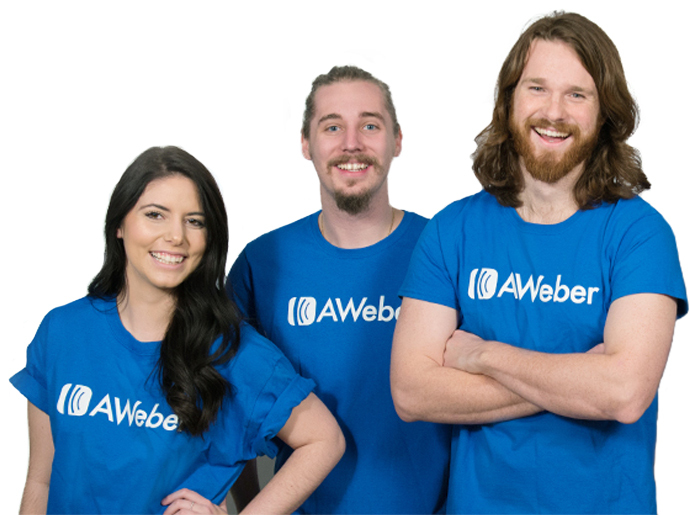 They know the ins and outs of AWeber, and what it takes to get your emails delivered and opened. And they're here 7 days a week to help you grow your business with email. "The customer service is amazing. I can pick up the phone and I get through quickly to someone who is incredibly knowledgeable. Often they create a solution I couldn't have anticipated." There are no setup fees or hidden charges with any of our account plans. Order your first month for free and get instant access to your new campaign. Contact your support team today.